Welcome to the Cobblestone Inn & Suites in Big Lake, Texas. 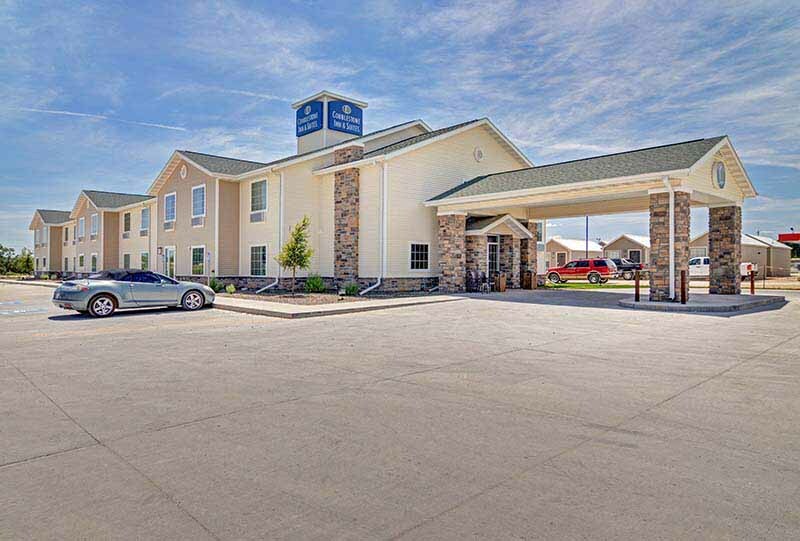 Our beautiful hotel is conveniently located near everything that Big Lake, Texas has to offer including Reagan County Airport, Big Lake Oil Fields, the Reagan County Airport, and more. Our hotel provides easy access for traveling to and from U.S. Highway 67. Located north of Interstate 10, our hotel is within 90 miles of Odessa, Texas. In town for business? The Cobblestone Inn & Suites in Big Lake, Texas offers easy access to JET Specialty, Aqua Terra Water Management, Cagle Fishing & Rental, D D Poynor, Devon Energy, Don-Nan Pump & Supply Company, E P Energy, Eagle Safety Management, ESI, Globe, Heap Equipment, J-Bar Solutions and Equipment, Lowery Wholesale, Patriot Automation & Control, Pinnergy, Pioneer Natural Resources, Preferred Oilfield Services, Ridgeway Electric, and much more! In town for some fun? Check out the Hickman Museum, Big Lake Municipal Golf Course, Bertrand Park, rodeo arena, tennis courts, Reagan County North Park, or Big Lake Community Center, Grandma’s Kitchen, Los Cazadores, Las Rosas Burritos, Sugar Creek Grill, and more.